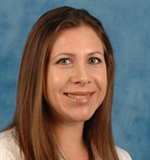 Dr. Maggie Fader is a pediatric hematologist-oncologist in Miami, Florida and is affiliated with Nicklaus Children’s Hospital. She received her medical degree from University of Miami Miller School of Medicine. Maggie is one of 18 doctors at Nicklaus Children’s Hospital who specialize in Pediatric Hematology-Oncology. She also speaks multiple languages, including Spanish.